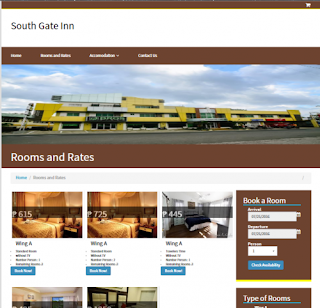 South Gate Inn Online Reservation System is built to bring ease and efficiency to both customers and hotel owner. It’s a huge advantage to have hotel reservation software because this can save tons of time, provide the best service for the customers and boost your competitive edge to other hotels with a reservation system. Having this system, customers can make a reservation in less than 2 minutes (in real time). 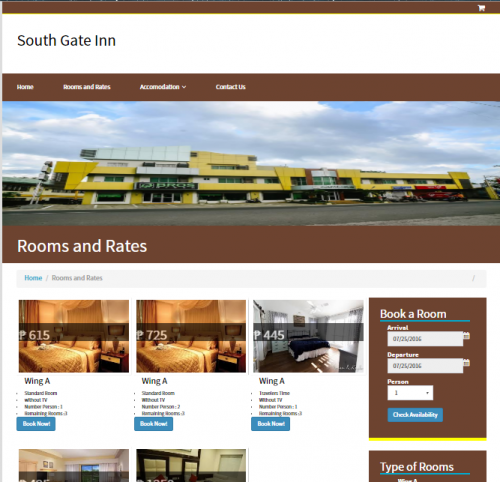 If you travel a lot and wish to stay at South Gate Inn, it is possible to make a reservation with just a few clicks, that’s how fast it is. Customers can view the content of the site and they can choose the room of their desire, it's hassle free and easy to access. Then, an instant confirmation message will appear in his account once they are done filling up the reservation form.